This recipe gets me so excited! It's the perfect combination of flavors and I guarantee it will not disappoint! Note: You can use any prepared dry rub that you would like in this recipe, but I like to make my own. Try mixing 1 teaspoon sugar with 1/3 teaspoon each of salt and freshly ground black pepper. 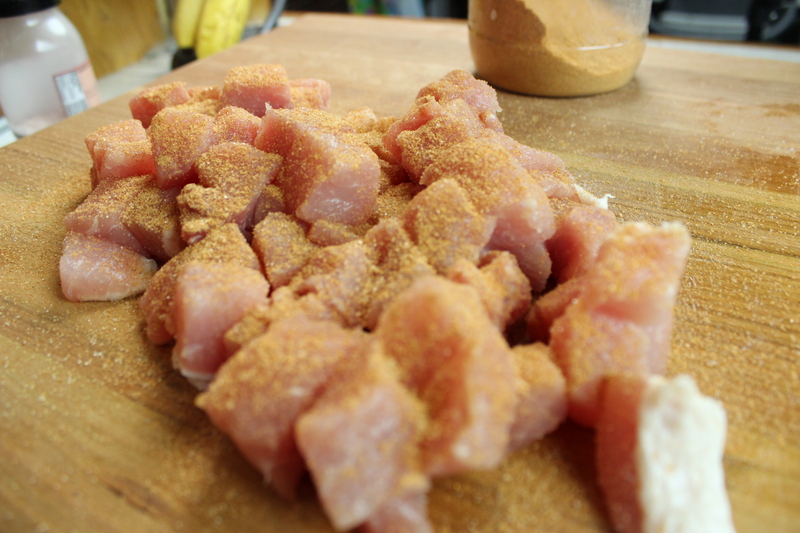 Add touches of paprika, cumin, chili powder, garlic and onion powders to finish. Set the Anova Sous Vide Precision Cooker to 187ºF (86ºC). Slice the pork chops into bite sized pieces. Season with 1 tablespoon dry rub and transfer to a large zipper lock or vacuum seal bag. 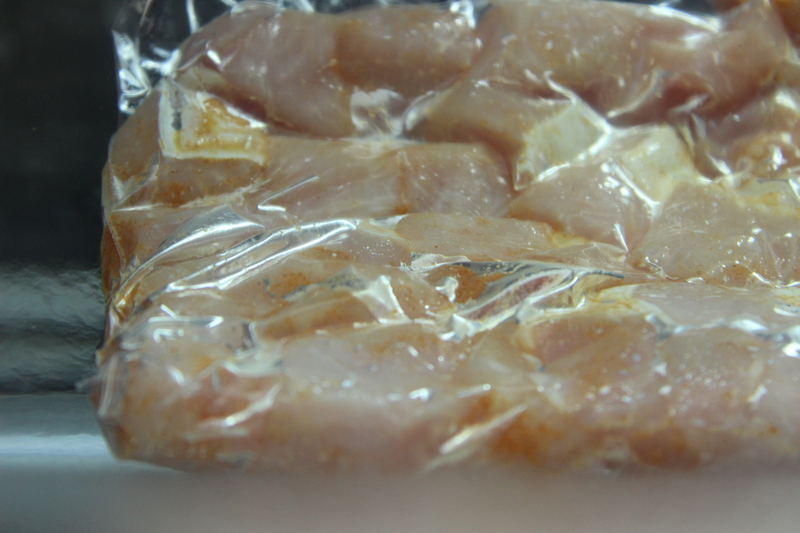 Seal the bag using the water immersion technique or a vacuum sealer on the dry setting. Place the bag in the water bath and set the timer for 12 hours. Cover the water bath with plastic wrap to minimize water evaporation. Add water intermittently to keep the pork submerged. When the timer goes off, remove the bag from the water bath. Shred the pork into bite-sized pieces inside the bag. Add the barbecue sauce and remaining teaspoon dry rub. Mix well. 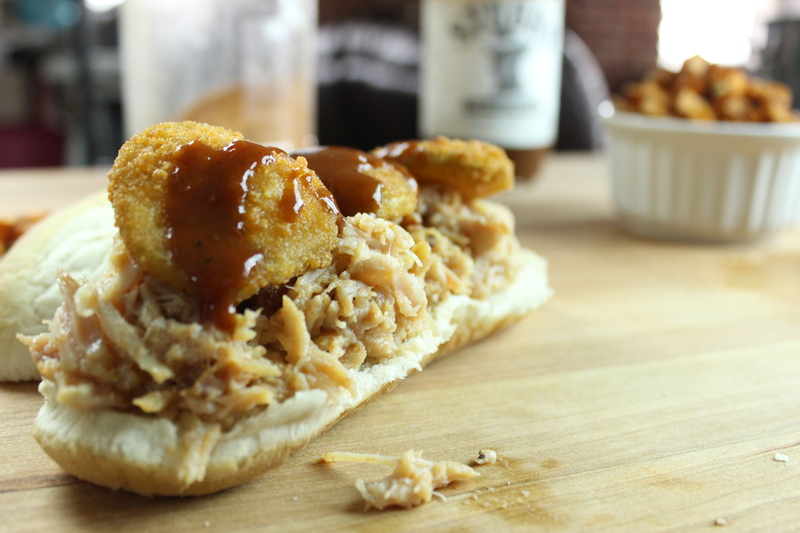 Serve the pulled pork on the hoagie roles, topped with fried pickles and a drizzle of barbecue sauce.